The global market for hospital acquired diseases testing market is anticipated to gather momentum on account of the growing awareness about health, hygiene, and wellness amongst the masses. Insufficient measures to curb the menace of infections that could spread across hospitals results in hospital acquired diseases. The adverse effects of such carelessness have prompted the healthcare experts to pressurize hospitals and healthcare centers to continually conduct testing of hospital acquired disease testing. Furthermore, patient safety has become a norm, and many healthcare centers screen the patients for any extra acquired diseases before and after their treatment. This also drives demand within the global market for hospital acquired disease testing. Several regions including US have strict safety measures with regards to the testing of hospital acquired diseases. Moreover, the development of pathogens with drug-resistant abilities has helped healthcare centers and hospitals to effectuate hospital acquired disease testing with deftness and precision. The government has also played a pivotal role in ensuring that testing of hospital acquired diseases is effectuated across all the healthcare centers, thus, amplifying demand within the market. Despite these factors, the market is not free from restraints and faces threats from the disparities prevailing across the world. The absence of norms and low level of awareness about hospital acquired disease testing in the third world countries hampers growth of the global market. The market in Asia Pacific holds tremendous potential for growth over the coming years. This is because the healthcare sector of the region is undergoing key reforms and is encompassing better diagnostics. Becton Dickinson and Company, Thermo Fisher Scientific, Inc., and Roche are some of the key players in the market. The alarming rate at which patients are suffering from hospital acquired infections (HAIs), especially in underdeveloped nations has led to stringent regulations penalizing hospitals for their high rates of HAIs. Hospitals today, are therefore taking many safety precautions and necessary steps in order to prevent hospital acquired infections. Thus, stringent regulations and increasing awareness regarding HAIs will boost the demand for hospital acquired disease testing. The global hospital acquired disease testing is therefore anticipated to grow at a double digit CAGR in the forecast period. It has been found that the most common hospital acquired infection which is affecting millions worldwide is urinary tract infection. Therefore, the test that is most in demand in the global hospital acquired disease testing is the test for urinary tract infection. Also, it is likely that the demand for HAI testing will also be high for pneumonia, MRSA, and surgical site infections. Hospital acquired disease testing is also used extensively for bloodstream tests. By geography, North America is leading in the hospital acquired disease testing market, followed by Europe. The growing incidences of death per year in the U.S. on account of HAIs is one of the key reasons behind the growing market for hospital acquired disease testing in North America. The regulations imposed by governments and other bodies as well as rising demand for diagnostics will also help fuel the growth of this market in America. But, the fastest growth rate is anticipated to be witnessed by Asia Pacific in the hospital acquired disease testing market. 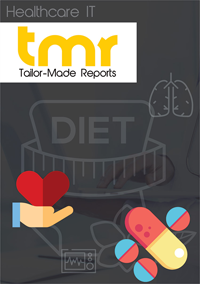 The growth of the market in Asia Pacific is linked with the growing incidence of nosocomial infections and with it the rising impositions of various strict regulations to curb HAIs. Moreover, growing investments in healthcare infrastructure will also favour the hospital acquired disease testing market in the region. One of the key factors restricting the market’s growth of the lack of stringent policies in under-developed nations. The adoption of molecular-biology-based diagnostics is limited on account of stringent policies in developing nations. This will also hamper the hospital acquired disease testing market’s growth. Also, countries in Africa such as Nigeria have no effective programs or regulations for controlling hospital acquired diseases. On a bright note, the growing health concerns among patients worldwide will help the market to grow. There is little scope for new players to enter in the global hospital acquired disease testing market. The number of players is extremely limited and hence the competition between these few companies is supremely high. Players are striving to tap on the vast opportunities o fgrowth that lie within the developing nations. This will also help them gain shares in the market. List of leading players within the market of global hospital acquired diseases testing include Roche, Abbott Laboratories, Thermo Fisher Scientific, Inc., Becton Dickinson and Company, and Alere, Inc.